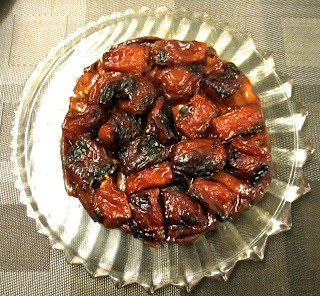 There is nothing like a classic tarte tatin (upside-down apple tart), and today I set out to make a classic one, following the recipe of the Confrérie des Lichonneux de Tarte Tatin, the official society of tarte tatin lovers. 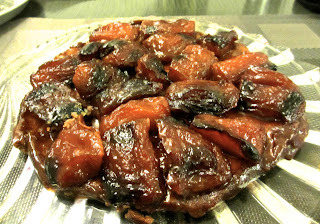 This recipe calls for buttering the pan with a huge amount of butter, covering with sugar and then arranging quartered apples on top and cooking over a hot burner until the sugar caramelizes and turns a dark brown. Well, I burned the sugar and after a lot of cursing decided to try again by making a caramel in a new pan and using the already very cooked apples, finally adding a pâte brisée crust (the official recipe calls for puff pastry but I prefer ordinary tart dough) and baking for 30 minutes. 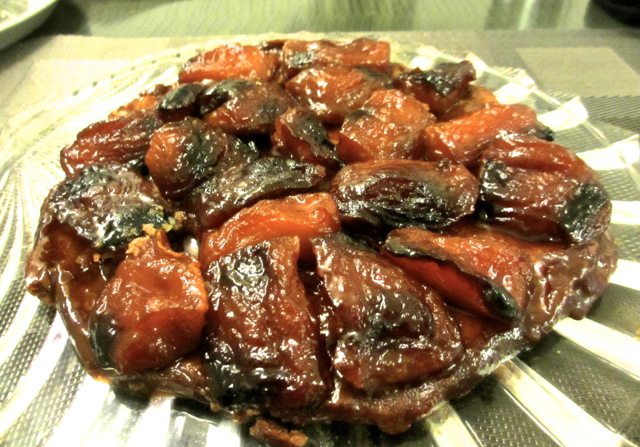 The result was the best tarte tatin I've ever made, dark and crusty with rich caramel. Lesson learned.